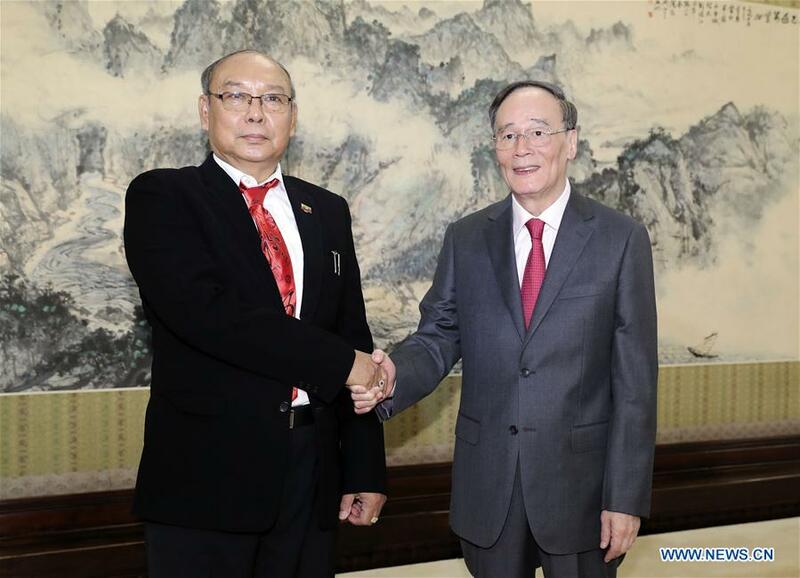 Chinese Vice President Wang Qishan on Tuesday met with Myanmar's Union Parliament Speaker U Mahn Win Khaing Than in Beijing, and both sides expressed hope to enhance cooperation in various fields. "Developing the comprehensive strategic cooperative partnership between China and Myanmar on the basis of carrying forward traditional friendship is in line with the fundamental interests of the two peoples, Wang said. He called on the two sides to maintain the momentum of high-level exchanges, strengthen communication and mutual understanding, consolidate mutual trust and promote cooperation, so as to achieve win-win outcomes. "China supports Myanmar's efforts in maintaining peace and stability and achieving the country's development," Wang said, adding China is willing to advance the China-Myanmar economic corridor construction under the Belt and Road Initiative and strengthen cooperation in areas such as agricultural water conservancy, infrastructure and energy. 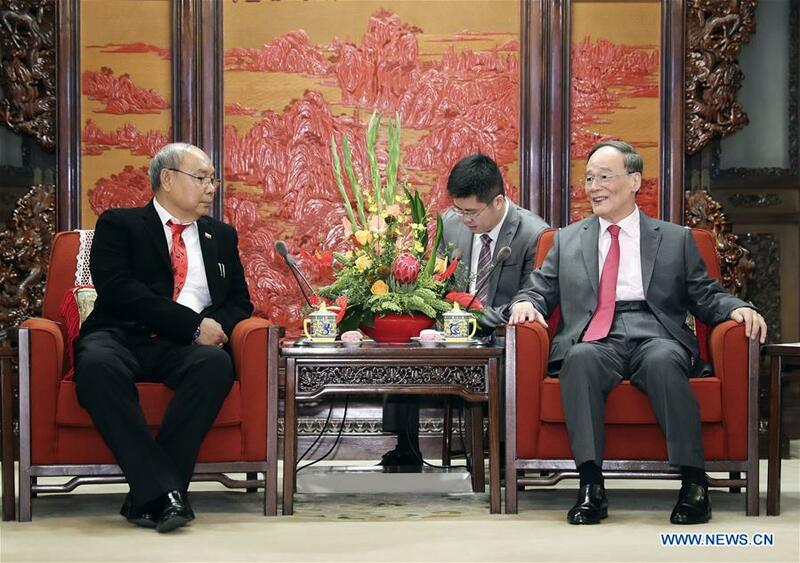 Hailing the traditional "paukphaw" friendship between the two countries, U Mahn Win Khaing Than expressed gratitude for China's support, and his hope for strengthening the construction of Myanmar-China economic corridor and cooperation in various fields.